CathCAD® is the software solution that allows the User to analyze and predict the mechanical characteristics of microcatheters. 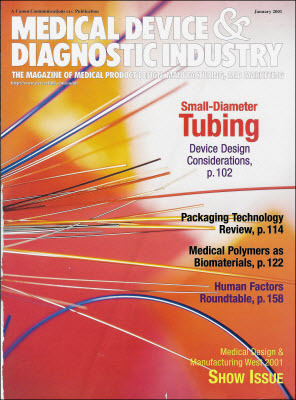 The Software is based (in part) on the engineering fundamentals summarized in the article, Design Considerations in Small-Diameter Medical Tubing, which was the January, 2001 Cover Story in Medical Device & Diagnostic Industry (MDDI) magazine. Vendor material data sheets are used for loading material properties for standard materials used in medical catheter products. The base matrix materials database includes over sixty (60) materials. The software computational engine is NOT based on empirical or tabulated measurement data. Since the software inception over 70,000 computational CathCAD® models have been completed by our licensed Users. Copyright © 2019 CathCAD®. Powered by WordPress & Corpo Theme.